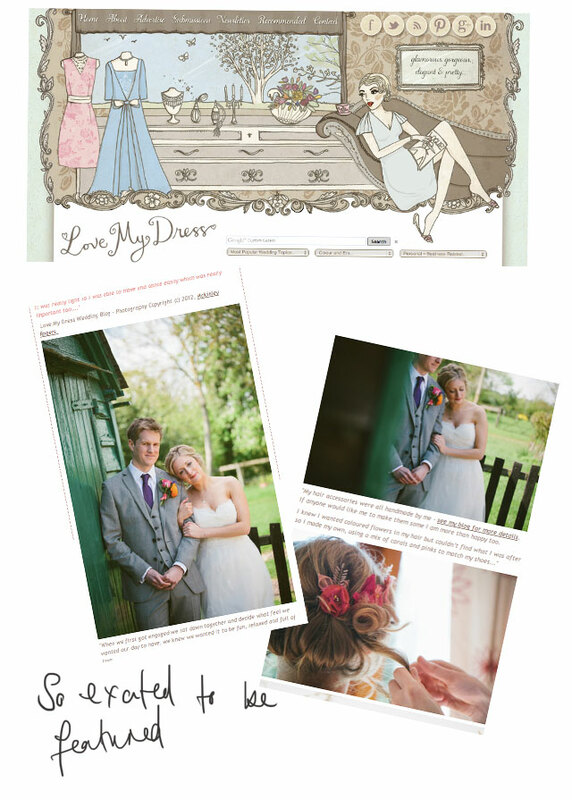 A very exciting thing happened today, our wedding was featured on the fabulous Love My Dress (squeal!). It goes without saying I am beyond excited to appear, so a huge thanks to Pen (one half of our photographers - Mckinley Rogers) for taking such beautiful photos and Annabelle at Love My Dress for letting us grace the pages of your site. For anyone who has popped over from Love My Dress, a very warm "hello!" I have put a few links below to some of my past wedding posts, I will be posting some more shortly so stop by again. Hi Charlotte, It's Kate from the Papermash event :) It was lovely to meet you. Just been looking at your wonderful wedding photos. Your dress and flowers were so beautiful!